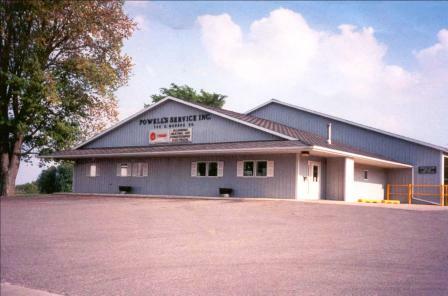 Powell's Service, Inc. has provided Mid and Centeral Michigan with quality Plumbing, Heating, Cooling, Air Conditioning, Electrical, Furnaces, and Air Cleaners since 1953. Welcome to Powell's Service, Inc. Since 1953, Powell's Service, Inc. has been committed to Central Michigan to provide customers with our continuous commitment to quality and 100% customer satisfaction. Powell's Service, Inc. has become a leading contractor for residential and light commercial projects. Powell's Service offers nationally known brands of energy saving furnaces, air conditioners and accessories. They are all quality built to give satisfaction for years. Forced air furnaces, boilers, central air conditioners, electronic or media air cleaners, humidifiers, rooftop units, water heaters, bath fans, fireplaces, zone systems, duct work, plumbing fixtures and piping installations. Our team at Powell's Service, Inc. welcomes the opportunity to serve all of your indoor comfort needs, call us to see how we can help 989-681-5751/1-800-576-3555 or e-mail us at service@powell-service.com.